14700-14000 range needs to be broken for any conclusive move. 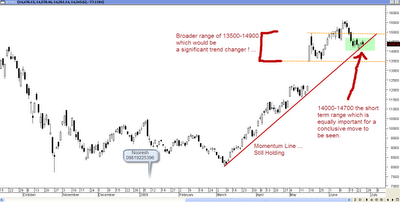 - > As was mentioned in the webinar as well as in previous updates at 15.5k that index may test the momentum line. The sensex has tested the line couple of times in last few sessions. - > The range for now is 14000-14700. In the next couple of weeks one can expect a breakout of the same which can lead to a conclusive move on either side. So wait and watch for a move. Deploy some cash but with a strict stop of 13900 or be very stock specific with strict stops. 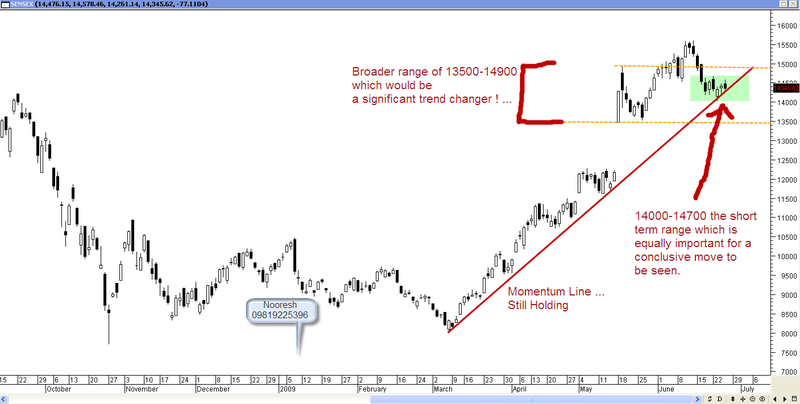 - > On the medium term front the gap support of 13500 is an important support. On the upside 14900/15100 which is Circuit day top as well as 15100 which is 61% of current downmove. So a move beyond this range would change the trend significantly. Simply put continue to be stock specific and stay strict with stops and discipline. 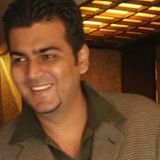 There would be many opportunities on trading as well as investment side. In the last updates at 15.5k to shift to defensives like Cipla, ITC , Dabur , Cadilla which have been in positive territory since then. Cadilla has moved up from 340s to 370s hold for 390/420. tata motors,gdl stopped out. IDBI stop 108. Stock is looking good on daily charts Buy on dips with a stop of 240 . Momentum above 270 may tgt 300 +. Nice volumes traded in the last few weeks. The stock has been ranged 154-135 in the near term. Buy around 142 stop of 135 or above 154 for a tgt of 170-190 in short term. Highly volatile stock so take small exposure and keep the risk in mind.